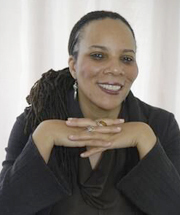 Kimberly R. Mills, Ph.D, is a doctoral level Board Certified Behavior Analyst (BCBA-D) and the Associate Director of the Virgin Islands University Center on Excellence in Developmental Disabilities. She maintains certifications as a K-12 special education inclusion teacher and certification as an educational leader and school administrator. Dr. Kimberly Mills was a contributing member in the development of the Diversity and Inclusion Blueprint. She joined colleagues from around the country in creating a blueprint for cultural and linguistic competence within the nationwide AUCD network. The blueprint sought through its development to expand diversity in both the network and the developmental disabilities field to ensure that the network is and remains well-positioned to address growth in diverse communities and the growing number of people with disabilities. This blueprint was a one-year initiative funded by the Administration on Intellectual and Developmental Disabilities (AIDD). Dr. Kimberly Mills created and manages a yearlong CEU training institute for parents and educators in the US Virgin Islands. She manages the majority of the training initiatives emerging out of the Virgin Islands UCEDD. She provides clinical supervision to aspiring BCBA candidates as well as disability consultation and support to local clinics and service providers in both private and public sectors. Dr. Mills helped establish the Tricare Autism Demonstration Project in the US Virgin islands in her capacity as the first BCBA to be established in the territory. She also provides direct applied behavior analytic clinical care. Dr. Mills and her team are in the process of building a model treatment and assessment center on the island of St. Croixin the US Virgin Islands. The center will be a training space to teach best practices in early intervention assessment and the teaching verbal behavior and other adaptive skills to youth with Autism Spectrum Disorders (ASD) and other developmental disabilities. Dr. Mills has provided training to various members of the US Virgin Islands legislature on topics related to the intersection of disability and juvenile justice and will be engaged in multidisciplinary policy initiatives to further explore and address the phenomenon. Dr. Mills was an article reviewer for the National Autism Center's National Standards Project, Phase 2 (NSP2), which was a review and analysis of interventions for people with ASD conducted in the field from 2007 to 2012. Dr. Mills provided clinical consultation and initial program development services to the first autism clinic in the United Arab Emirates in Dubai. Dr. Mills' current research activities include mixed methods analyses of outcomes related to various technical assistance recipients including recipients from Head Start and local educational agencies. She is also involved in empirical analyses of practices relating to the effective treatment of youth and adults with Autism Spectrum Disorders (ASD) and Applied behavior analytic intervention towards the development of job readiness skills in people with autism and other disabilities.